Be sure to visit "The Community"
for links to area businesses, education, tourist attractions, weather and more! Welcome To The Rockbridge County Photo Gallery! 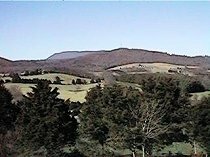 Would you like to see more photos around Rockbridge County?